No doubt that the modelling industry is getting crowded with new girls who are probably inspired by Tyra Banks’s America’s Next Top Model or the Africa’s edition by Nigeria supermodel, Oluchi. As a model, walking the walk can be an issue for some, talking the talk for some, and probably model conducts and traits can be the issue for others. 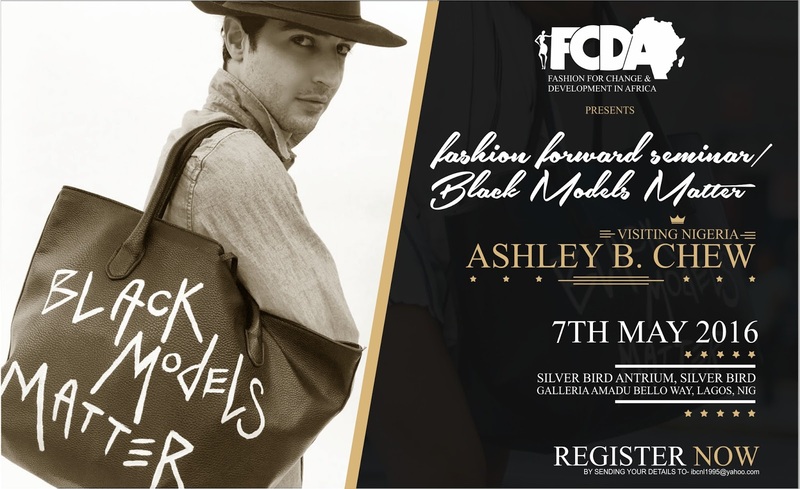 Models, it’s time to mark your calendars for the “must-not-miss” modeling seminar organised by the (FCDA) Fashion for Change and Development in Africa in conjuction with (IBCNL) International Business Consortium Nigeria Limited, and JACOBS. “Fashion Forward Seminar – Black Models Matter” will focus on an extensive talkshow on sensitising the use of black models on the international runway, as well as how black models can make themselves the favorites of local and international modeling runways, amongst other intuitive topics. The event will consist of an extensive models seminar with seasoned speakers, and a fashion show that will feature renowned fashion designers. Fashion Show Designers: Aghatha Moreno, Jean Luciani, Sevon Dejana, and other reputable fashion designers.